The land along the northern section of Millwood Ave belongs to NPWS; therefore as land managers they are responsible for any fuel reduction activities in that area. The small sliver of land (approximately 0.2 ha) between the Acoustics lab and Millwood Ave belongs to Willoughby. Council has a bush regeneration crew in there maintaining the weeds and subsequent fuel loads. Blue Gum Park is to the north east of Millwood Ave which is managed by Willoughby Council. Council conducted a strategic burn there last year 10th of May. There is also an established and maintained APZ along the bushland and private property interface. WCC conducted 6 hazard reduction burns in West Ward in the last 5 years. Greville Street Blue Gum Park 0.37 10/05/2013In addition WCC maintain established APZ’s in the West Ward. Burns in the West Ward are not programed for the 2014/15 year as WCC has planned strategic burns in the east where there are areas that have not had a burn for many years with very high to extreme fuel loads. Further, If the burn is 1 ha or below WCC is required to notify residents who live within 30 meters of the burn site. Prior to any burns being carried out Council staff have to prepare the site. During these preparation works signs are placed around the work area advising of the proposed burns. Council will also notify residents by letter box drop if the burn is generally occurring behind their properties even if they are outside the areas requiring notification listed above. 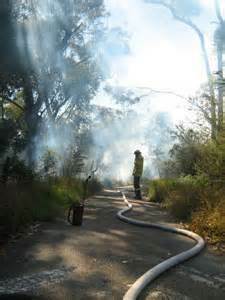 In addition to fire reduction burns Council also undertakes manual fuel reduction (removal of fuel by hand) in asset protection zones which provides further bushfire protection. These are maintained on an annual basis. There are no burns planned for the west ward for 2014-2015. In the past 5 years there has been 4 burns achieved.